I was honored to bake some adorable cakes for TWO babies one boy, one girl! 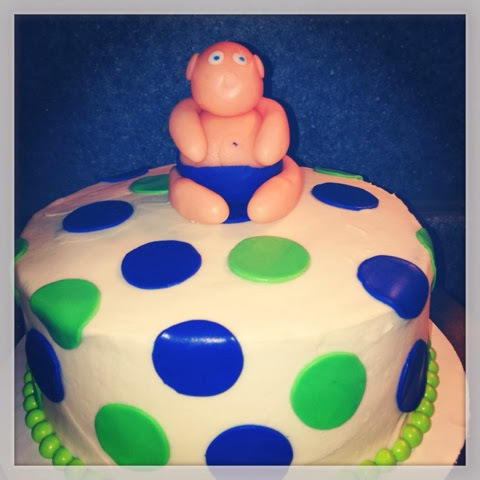 My friend wanted “big fat babies” on top of the cakes and I think these turned out so cute!! This entry was posted in Uncategorized and tagged baby boy, baby shower, Baby shower cake, cake, Hickory Cake Baker, Mama Bird Nest, Mama Bird's Nest, nc cake baker. I was honored to be a part of Sweet Baby Jones baby shower a few weeks back and I just love how this cake turned out! Simple and perfect! This entry was posted in Uncategorized and tagged baby boy, baby shower, Baby shower cake, Mama Bird Nest, Mama Bird's Nest. Sorry, the lighting on the blackberry is terrible! I love Sophie the giraffe (a rubber chew toy for babies) and thought using that as inspiration was such a great idea! 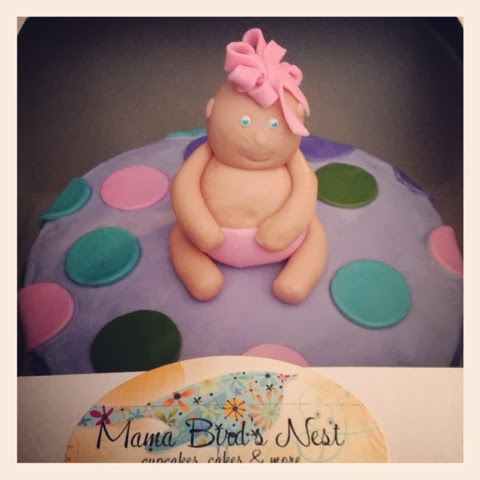 This entry was posted in Uncategorized and tagged Baby shower cake, giraffe, Mama Bird's Nest, Sophie. What a sweet pink & brown Bird themed baby shower! I did a small cake and cupcakes for the mommy-to-be to enjoy! You all know how I love a bird! This entry was posted in Uncategorized and tagged Baby shower cake, baby shower cupcakes, bird cupcake, cake, Mama Bird's Nest. When I received the email with the rocket ship “inspiration” pic I got really excited! Mini Boden is just an adorable catalogue and I loved that the theme was unique. Not to bash your baby shower but pale blue or pink, a little blah. This has character! This entry was posted in Uncategorized and tagged Baby shower cake, Birthday, Birthday cake, Birthday Cakes, Hickory Cake Baker, Mama Bird's Nest, Rocket ship cake, Rocketship. I have been really busy baking cakes for lots of fun people this week. This entry was posted in Uncategorized and tagged Anniversary Cake, Baby shower cake, Birthday, Birthday Cakes, cakes, Camo Guitar Cake, Mama Bird's Nest.